Recruitment: the perpetually challenging aspect of clinical trials. Image courtesy of adamr / FreeDigitalPhotos.net. As one of the most important parts of running a clinical trial (no patients, no trial, right? 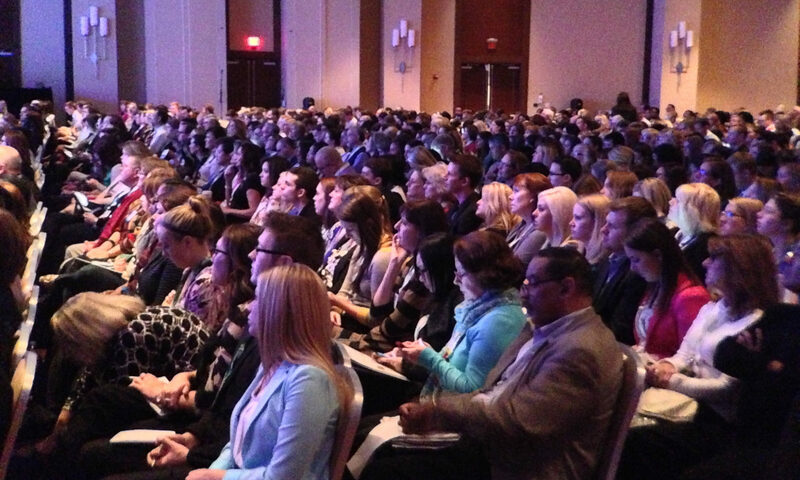 ), recruitment is a large focus for those involved in clinical research. However, even with numerous proposed strategies for effective recruitment, it seems as though it is still a major challenge that cannot be overcome. What is the major problem with recruitment? It takes time. A lot of time. A patient population for a study has to be created, contacted, and convinced that the clinical trial is worthwhile. While some sites have a database listing past trial patients, sometimes it is not large enough to create a significant patient population for a new study. Then, call centers are used, referrals occur, and advertising takes place, adding more time to the recruitment process. What is wrong with recruitment taking a lot of time? There is nothing innately wrong with recruitment taking time. In any scenario, it is a lengthy process. However, to meet screening and randomization deadlines, a quicker recruitment period is helpful. Additionally, as reported by Nariman A. Nasser, Director of the UCSF Participant Recruitment Service, almost 2/3 of potential patients are lost to follow-up because they do not hear back about their study eligibility quickly enough. This can happen when sites focus on making all of the recruitment calls first before making any follow-up calls, when pre-screening or screening appointments aren’t scheduled in a timely fashion, or when there are not enough staff at a site to effectively recruit while performing other job responsibilities. The solution lies in the back pocket of future patients: the mobile phone. Text messaging has proven itself as an effective means of communication across age groups, genders, ethnicities, locations, religions, and more. It works for everyone. Whether or not these future patients have smart phones, text messaging is a possible means of communication. Furthermore, Nasser also reports that 5.5 billion people worldwide are mobile subscribers; in the U.S., this is 91% of the population. Read: 91% of the population can be reached via text message for clinical trial recruitment! Text messaging is fast – and significantly faster than the traditional recruitment phone call. Texting makes it possible to reach a larger number of potential patients by text and perform immediate follow-up with less staff. Screening visits can be scheduled and eligibility questions can be answered via text. Really, text messaging can aid in all aspects of recruitment! If you are looking for a recruitment strategy that has proven positive results, consider texting; you never know who you might be able to reach. 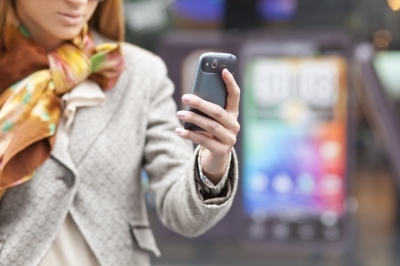 Interested in seeing how text messaging would affect your recruiting strategy? Visit http://www.mosio.com/research for more information and a free consultation/quote. The effect of using mobile technology during a clinical trial weight loss study was explored in a Journal of the American Medical Association (JAMA) Internal Medicine article. The study, titled “Integrating Technology into Standard Weight Loss Treatment: A Randomized Controlled Trial”, was 12 months long with 70 participants (mean age 57.7 years, 85.5% male) with a BMI > 25. There were two groups of participants: those who received standard physician care (Standard treatment), and those who received standard treatment supplemented with mobile technology (+Mobile treatment). 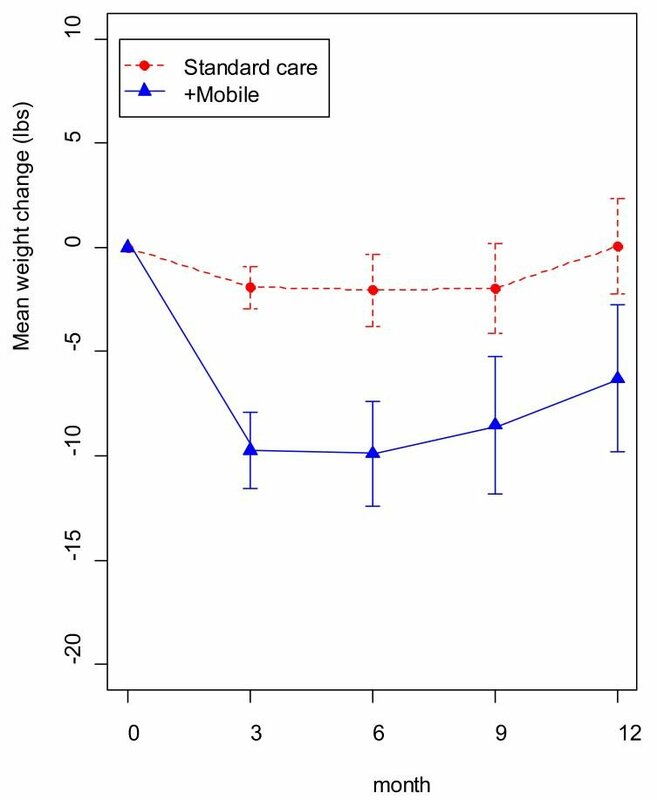 Patients in the +Mobile group remotely monitored diet, exercise, and weight on PDAs. This data was submitted daily by participants at the start of the clinical trial, and tapered out to once a month by the end of the study. A status thermometer on the screen of the PDA was then updated automatically based on the patient’s entered data. This allowed patients to remain up to date with their total intake and energy levels for each day. Results were in favor of mobile technology use. Data showed that the +Mobile group lost 8.6 pounds more, on average, than the Standard group. Additionally, 36% of participants in the +Mobile group lost at least 5% of their initial body weight, as compared with 0% of the Standard group, at the three-month time point. These results occurred due to an intensive multicomponent behavioral treatment consisting of physician care alongside supplemental mobile technology use. Thus, two components were implemented to aid in weight loss, with only one (direct care) requiring extensive time and training by physicians. This addition of mobile technology is an easy adjustment that can be made in many clinical trial settings without additional effort by primary investigator physicians! Photo used with permission of author, Bonnie Spring. This study shows the promise of mHealth technology in patient care and clinical trials. Not only is mobile technology successful in engaging participants, it also requires less intensive time and instruction by physicians and more remote commitment of the patients. The power and potential of mHealth technology in creating healthy change is evident in these results. Mobile technology is truly a building block to the next level of successful patient care in clinical trials! To learn more about implementing mobile technology in research, visit http://www.mosio.com/research. SMS has the ability to considerably increase email signups. At least, that’s what a Zettasphere case study reviewed by Tim Watson, an independent email marketing consultant, showed late last month. In the study run in the United Kingdom, Deal Monster created an ad for £5 off of first purchase. This ad was placed in a local newspaper for a few weeks, and either stated that the deal could be claimed via web signup link or by texting an email address to the number ‘84101’. By the end of the study, SMS created 3.3 times more signups than the web link. Watson believes that the reason for the shining SMS performance is clear: “Time and time again I see that making processes simpler, faster, and more immediate improves conversion.” SMS does just that. SMS provides a direct, concise, and easy way to relate to another person. It is always available, trustworthy, and convenient. This is why SMS is so vital in clinical trials: SMS allows patients to easily access trial information, including sign-ups and prescreening questions. Imagine if your sign-ups for a trial increased more than threefold… Your recruitment would be outstanding! There is a clear benefit to having SMS as an available option for potential research patients. In his article, Watson provides suggestions for using this “SMS-2-subscribe” approach by using offline touch points. These points provide exposure so that potential patients are able to ‘subscribe’, or sign up, to receive trial information. Watson’s suggestions include printing on receipts, posters in waiting areas, exhibitions, auditoriums, live screens, and print materials. 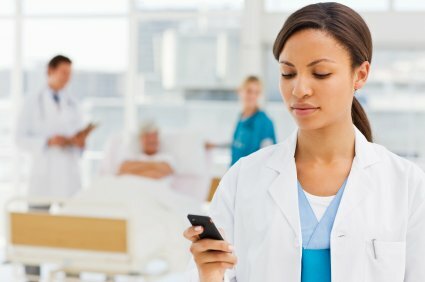 The idea is to provide as many avenues as possible to get future patients connected with your site via SMS, a mobile technology that is used at least daily. Increasing offline touch points to drive home subscriptions via SMS can only benefit a research site. With the simplicity and immediate connection that SMS provides, trial recruitment could be increased significantly! How do you think that your recruitment numbers could change? Want to know more about using SMS in clinical trials? Head over to http://www.mosio.com/research for more information and a free consultation/quote. This is certainly exciting news. Dr Sajid Hakim, head of the cardiology department at Indus hospital has described what many are starting to call the first “paperless hospital” The Karachi-based hospital has integrated mobile right into the heart of the doctors’ daily work routines, and doctors will now be able to see important information about patients even if they’re not in the hospital at the time. It’s always nice to see technology being used to help save lives, and this hospital, that is primarily run on donations, has created a very heart warming story for itself. If you’ve ever wondered how important a role smartphones and wearable fitness gear could play in the world of health, this article certainly explains it well. A lot of patients are using gear like FitBrit or smartphone apps to keep healthy, and doctors would be smart to integrate their own advice and reach out to patients through these devices. Smartphones in particular now play a huge part in our lives, and if you are like many other smartphone owners, it’d be rare to see you without your smartphone close to you or on your person. Clinical research sites become more successful and earn more studies by effectively completing clinical trials. This means that as a site stays open, more clinical research trials are (hopefully) awarded to the site, and the site grows in the number of Principal Investigators, Sub-Investigators, and Clinical Research Coordinators. For sites that have a plethora of clinical trials and are short on time, mobile text messaging software is a perfect way to easily ensure patient retention and compliance. This software is an effective form of communication between patients and researchers. Interactive text messaging software saves time from phone call and in-person visits, as it allows PIs and Coordinators to quickly respond to patient texts either in real time or at a convenient time throughout the day. Sites can save time and money by minimizing the number of unexpected patient visits and providing support through texting software instead. This is especially important for PIs, who often see patients at their clinics throughout the day and do not have an abundance of time to spend with patients face-to-face. Patients benefit because they are able to get support at any time during a study. Text messaging software provides a way for patients to ask questions and get clarification about their condition, medication, dosing, compliance, and appointments. 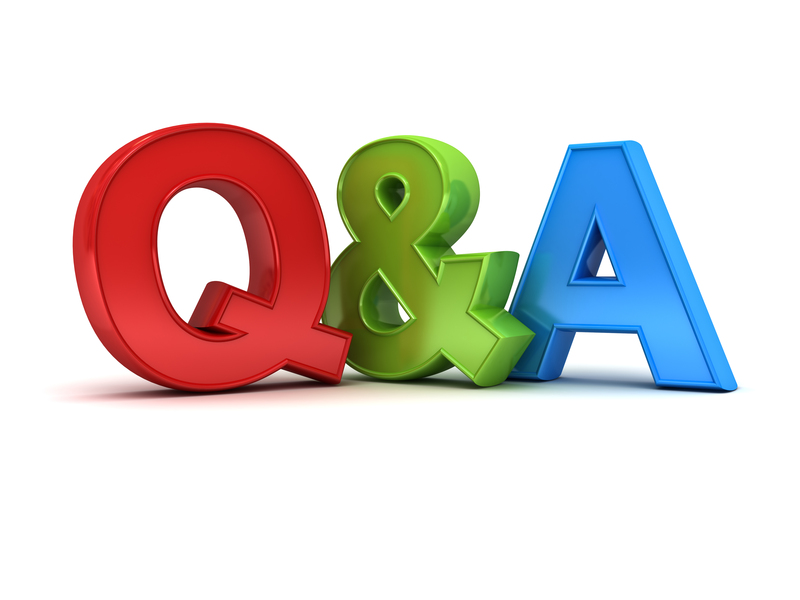 Patients are also able to message the research site any time a question comes up instead of writing these questions down and remembering to bring them up at a future appointment. If a PI or Coordinator is not available right away, an automatic response can be set up so that the patient will know that the message was received and a research staff member will respond once available. 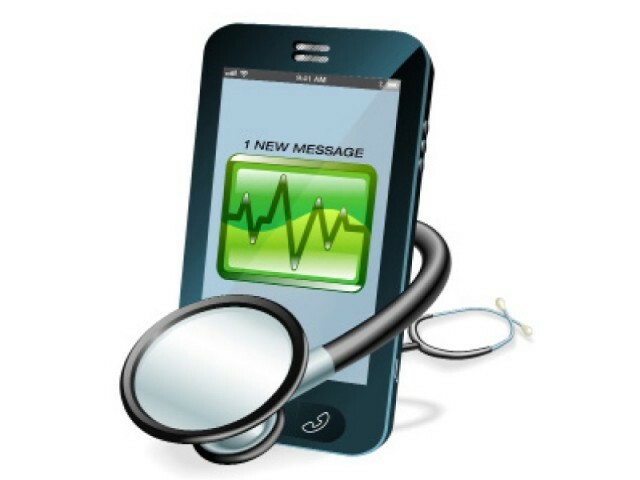 Text messaging software provides a vital mHealth technology for clinical research. 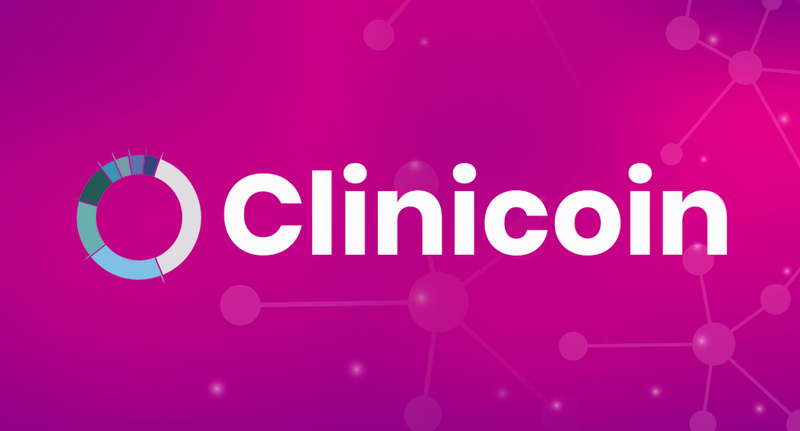 Helpful to both researchers and patients, it is the perfect platform for support in clinical trials of any phase, and increases retention and compliance, boosting overall success in clinical trial management. Mosio’s TextChat Messaging provides all of these services, and more. Take a tour of TextChat at http://www.mosio.com/biz/tour. As mhealth emerges, there is no doubt that we’ll hit a few snags that may cause issues and problems along the way, but there is also no doubt that mhealth could prove to be a very handy tool for our every day lives. A group of doctors have developed a free mobile app called iTriage that helps patients to keep an eye on their own health conditions and check in with doctors for any help they may need. Doctors can offer advice on a patients health via the app, giving communication between both a patient and a doctor even when neither are in a medical facility. A new app allows you to monitor your own blood pressure with a piece of equipment that can be bought for just $89. You’ll be able to make a report of your health with your blood pressure included and then send it straight to your physician who can then check for any signs of health issues and then send another report straight back to you. This allows for a quick method of communication between a patient and a physician and will help to make sure everybody can keep track of their health with ease.